My intention was to start bringing you guys a little bit more consistency on Suncream and Sparkles and posting 2-3 times a week for you. But you know, life happened. A trip to the UK, diy in the cellar, I've started painting the lounge and just general everyday stuff has been keeping me away from my blog. So when the lovely people doing some PR for Quiz asked me to do a little post I thought this is the perfect one to jump back into the blog with. Like me I'm sure you've heard of Quiz before. I've always been aware of the brand and when I Christmas temped at Debenhams a couple of years back, the Quiz concession was on my floor. Unfortunately though, in the three months I was there I literally never had time to peruse for myself though. If you've ever worked in retail at Christmas you'll fully understand I'm sure! Manic crazy busy not having time to breath doesn't even come close. I did however used to eye the party dresses as I'd see them going into the changing room and would have a quick swoon when putting them back on the hangers after they'd been tried on. I always thought that Quiz was pretty much just a party dress label. How wrong was I! 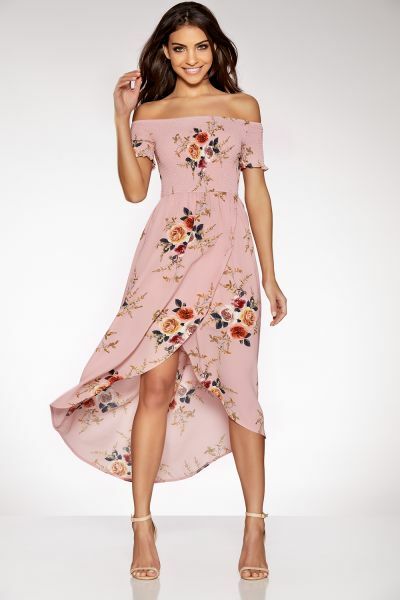 Since having a surf around their website I'm delighted to find out they ship here to Spain (free shipping if you spend €25 may I add) and that they are so much more then just your average party dress brand. I am too excited about my new find. They of course have some absolutely gorgeous dresses that would be perfect for a special event like a wedding, a day at the races or a fancy garden party. Have a peek here. Now I just need a special occasion to go to as I am desperate to snap up one of their beautiful dresses. Does the Tuesday afternoon grocery shop in Mercadona count? not just for a Saturday night at the club. Along with the beautiful dresses they have some awesome tops too, which I can definitely see myself wearing whilst having some tapas and vino coffee at the beach and browsing the shops at Zenia Boulevard. Have you shopped at Quiz before? Would love to know your thoughts and what you treated yourself too!